Today was not a good day, starting with me getting up at 8:00 with shoulder pain on both sides, as well as pain running down from my right shoulder to my ribcage. I also had some dizziness which did not last very long. Last but not least, my light cough and sore throat were hanging around for most of the day even with having taken the prescribed medication. 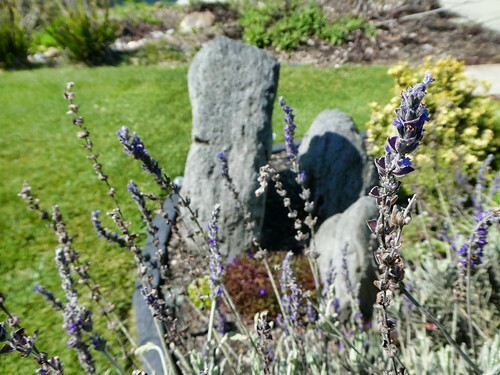 In summary, I had to deal all day with my shoulder and lower back pains. As to my activities, there were not many. After getting up this morning I had breakfast and rested to lower my pain levels. 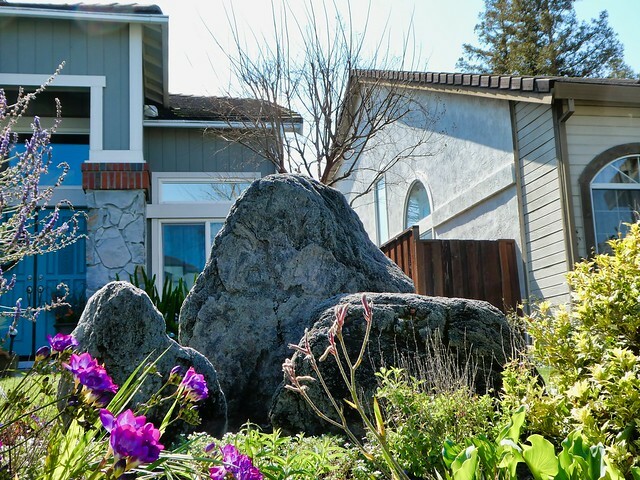 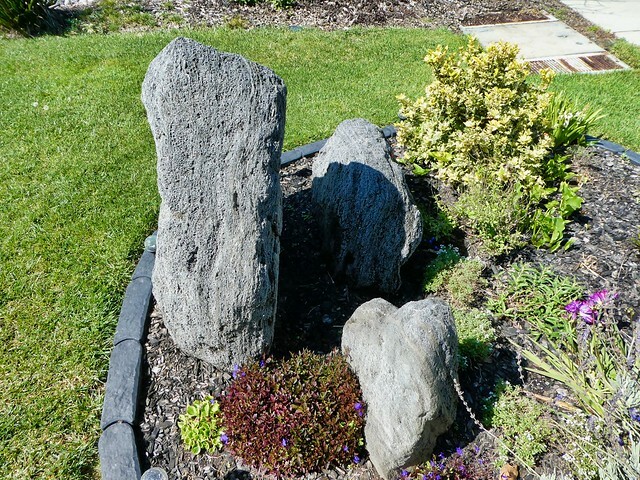 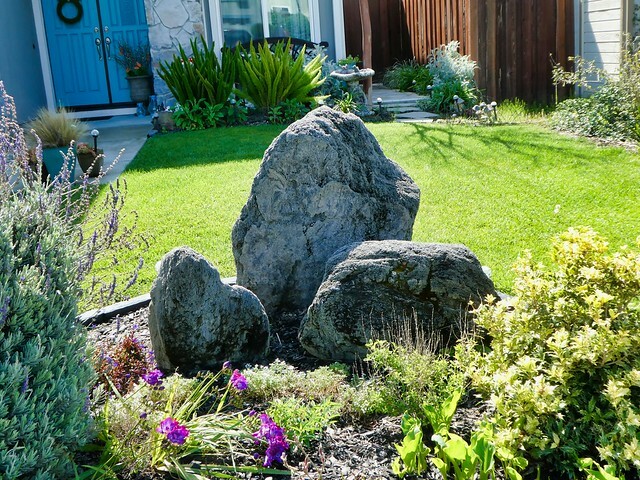 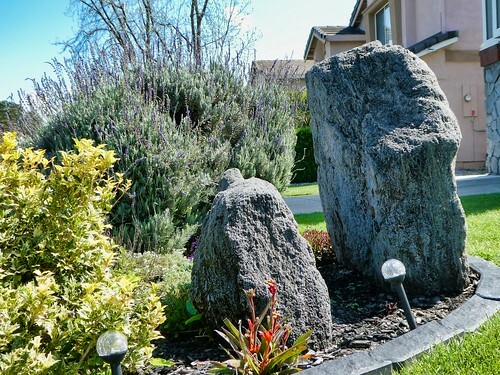 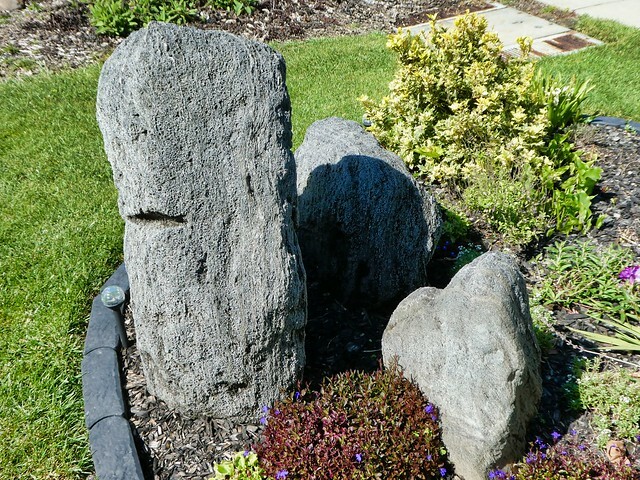 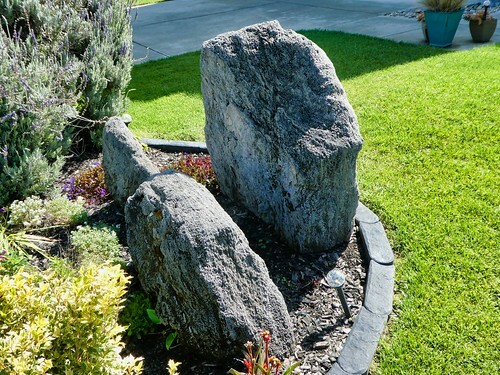 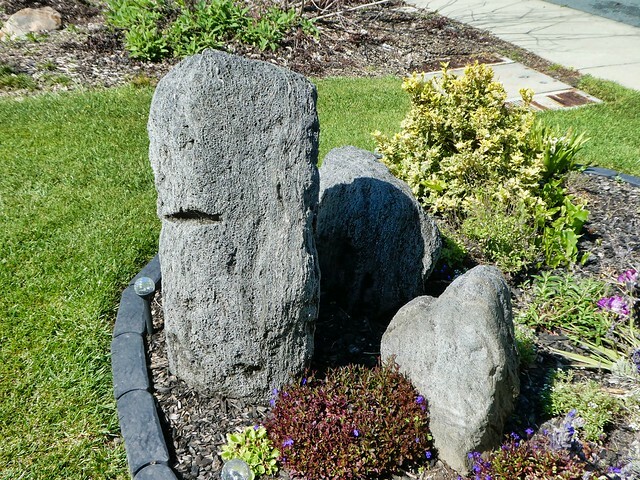 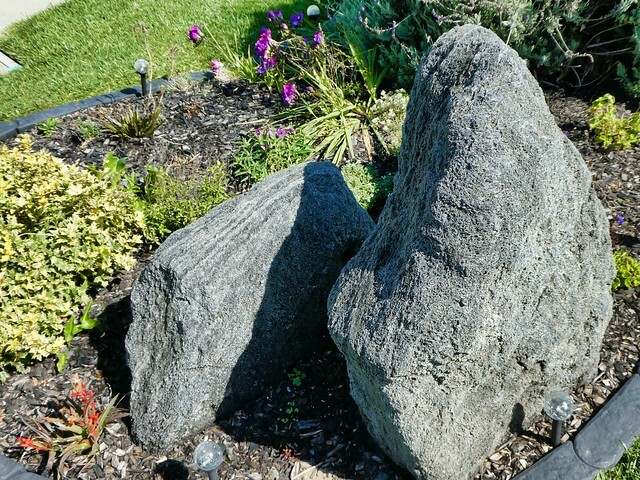 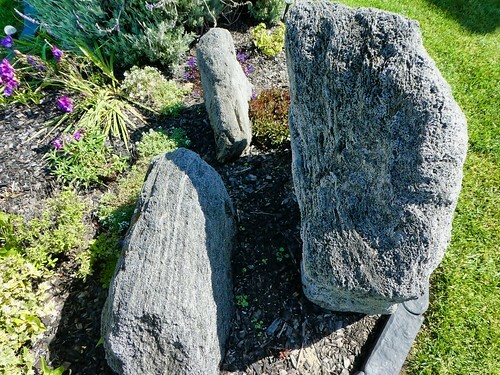 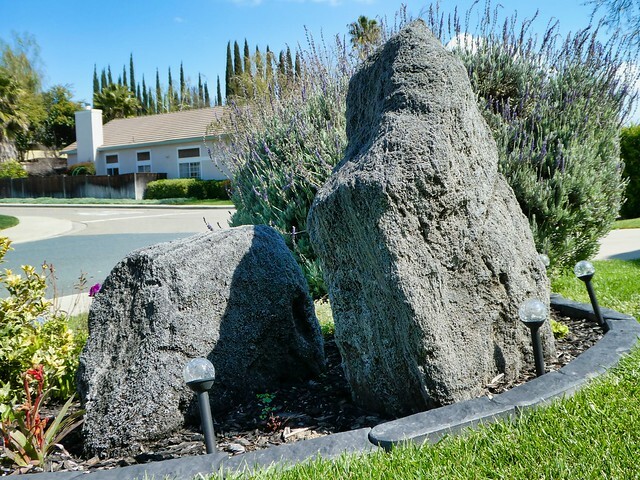 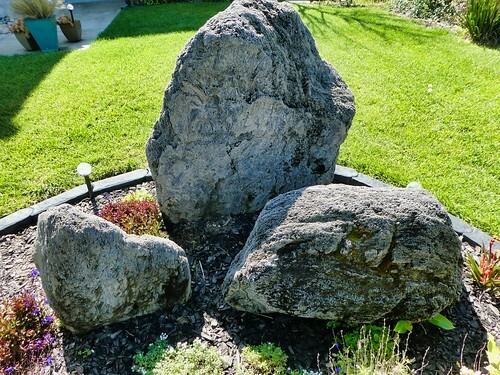 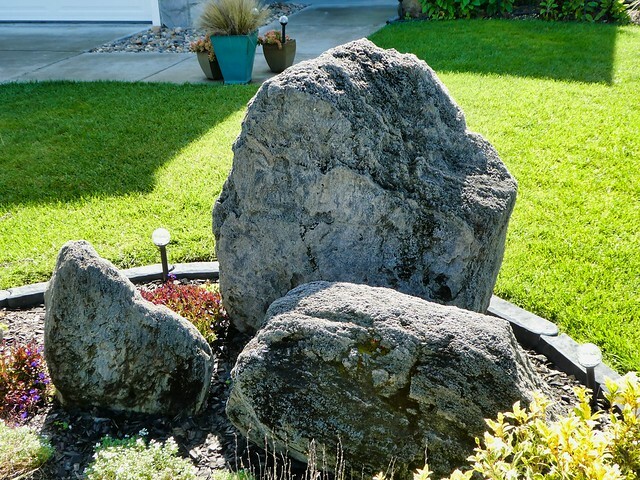 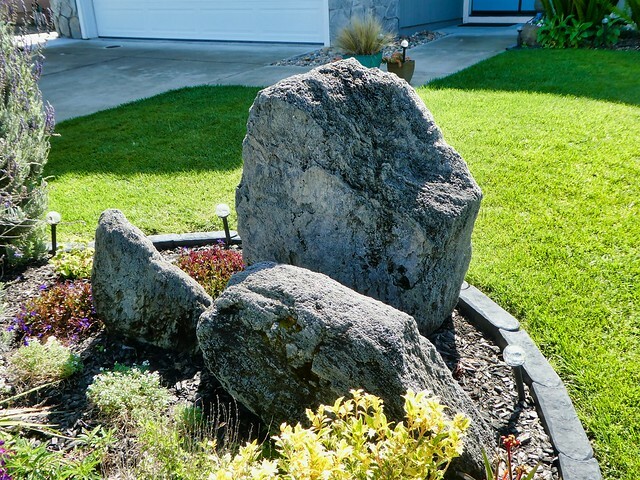 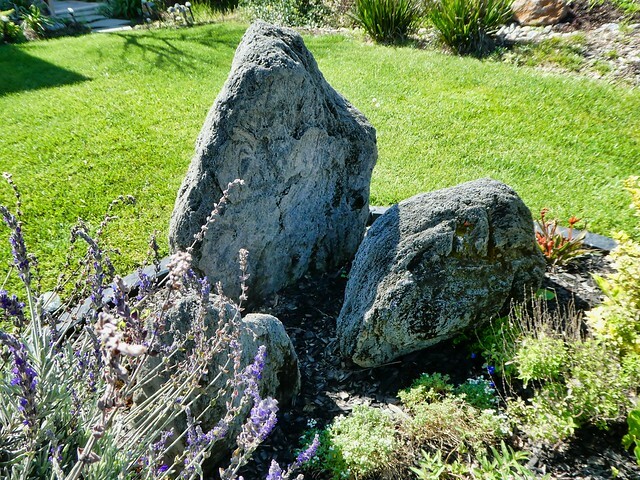 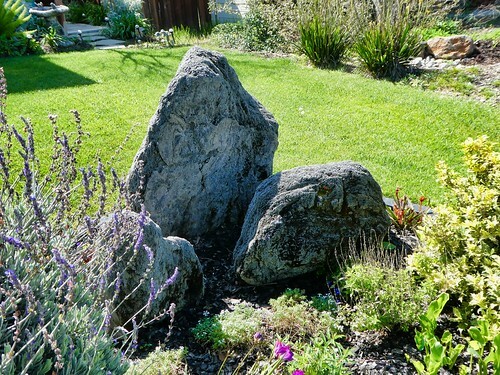 I was able to take some PICTURES before lunch of the rock foundation in our front yard.